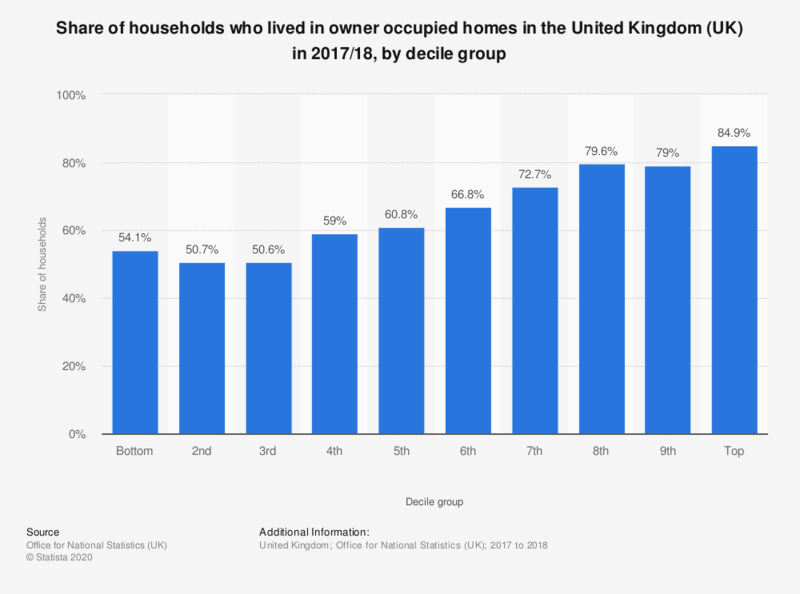 This statistic displays the share of households who lived in owner occupied homes in the United Kingdom (UK) in 2017/18, by decile. Approximately 85 percent of the households, in the top two deciles, lived in owner occupied homes. This was the highest share of any decile group, whilst 50.6 percent of households in the second decile in the UK, lived in owner occupied homes which was the lowest share of any decile group.